Ok…it’s time I talk about a book in the more familiar genre of Fantasy. 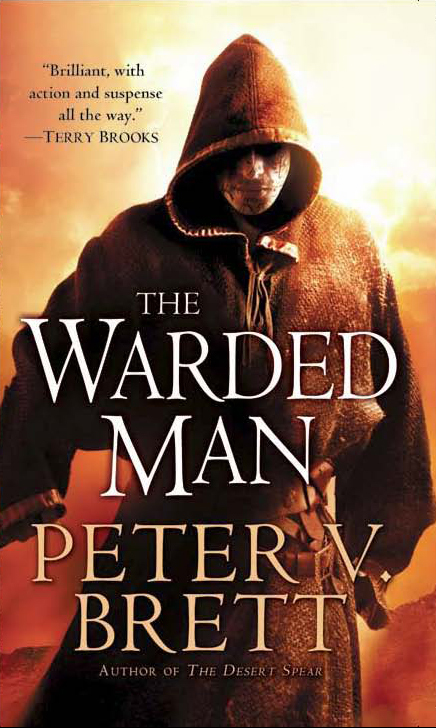 The Warded Man is Peter V Brett’s debut novel. It was a true page turner that I didn’t want to put down (unfortunately my boss would get upset if I read it at my desk all day long…) It is a story of a human society that is attacked by photosensitive demons that come out at night. For centuries all they can do is hide at night behind wards. The story is filled with action and is primarily the story of trying to take back the night. The story centers around three characters and their individual struggles against the system as the journey from children to adults. While I highly recommend this book be warned – I have yet to read the next book in the series.